Right Way Striping & Seal Coating Inc. Ace's Seal Coating & Driveway Solutions Inc.
Fritz Cartage & Asphalt, Inc. Comment: Approx 75 Ã16 to include concrete apron. Comment: I need a driveway next to my house there is currently no driveway and would want one installed. Chicago Paving Contractors are rated 4.67 out of 5 based on 125 reviews of 23 pros. 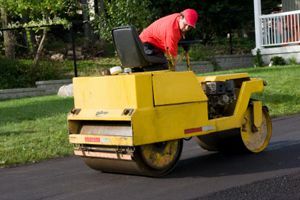 Not Looking for Paving Contractors in Chicago, IL?